Honor the life of your loved one by joining together and celebrating their life. We understand that planning an event such as this can be difficult. The goal of this package is to take the pressure off of families during this time. In this package we have included a two hour charter on board a vessel that can accommodate your loved ones needs. On board, both indoor and outdoor seating is available for your guests, as well as some beverages. To assist during the service a Facilitator will be on board to greet, and assist with laying your loved one to rest. This is something that can only be done once, so we want you and your guests to enjoy the full experience without being interrupted. Photography will be included so that your full focus will be living in the moment. To lay your loved one to rest we will providing a facilitator to assist you during the service. They will be there to greet you and your guests, as well as guiding the service along. Your facilitator will also be helping you and your guests with the basket service. 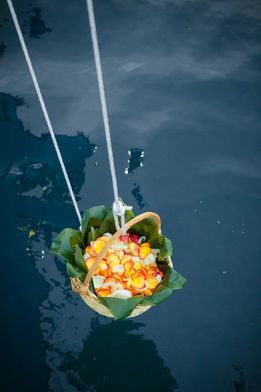 This will entail creating the basket with the Hawaiian Ti-Leaves and allowing the guests to assist in placing the ashes in the basket and then placing the flower petals on top, if they wish to do so. 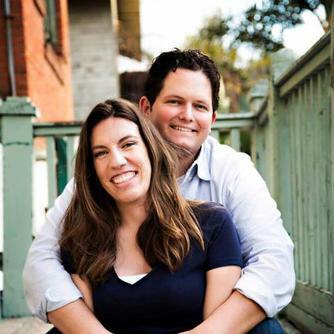 Based in San Diego, Caity and Drew love to capture the beauty and uniqueness of this occasion. Before your service Drew will be contacting you for a consultation to discuss your needs and preferences. Your photographer will be editing the photos and uploading them into digital files for you to access at no additional cost.